12 Days of Giveaways – Barrington Coffee Roasters | Cook. Vegan. Lover. We applaud the individuals that grow our coffees by paying dearly for the fruits of their labor and singing their praises on our website. We believe that directly supporting quality driven producers is the ideal manner in which to promote sound, responsible growing practices, economic sustainability, and ultimately the best quality coffee. Not only does the Barrington Coffee Roasting Company have great ethical practices but it has great coffee. 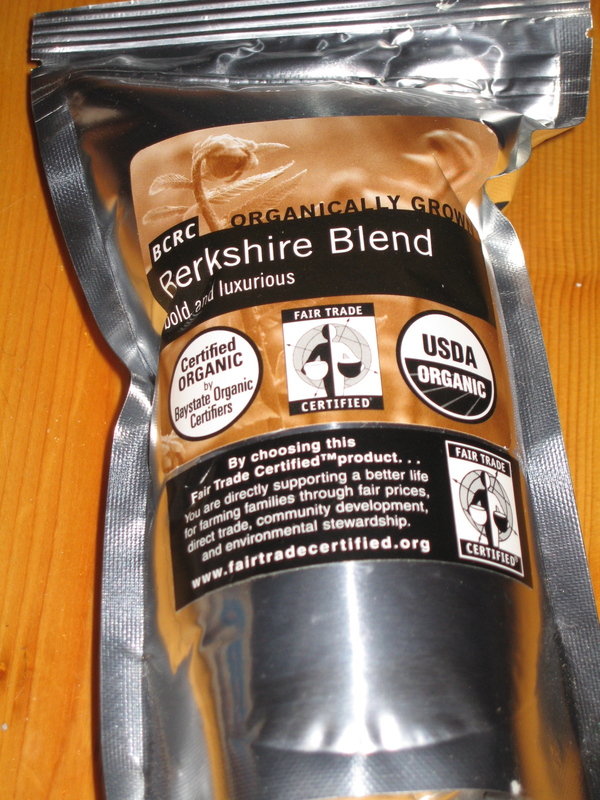 If you would like your chance to try their Berkshire Blend leave me a comment by December 9,2009 at 8pm. Sorry this giveaway is only open to US residence. I’ll make good use of those beans! Yes, coffee! I’m actually sipping on some coffee as I type this! I’d love to try this brand! Looks like something I would like to try. Always like the bold kind….would very much like to try.